Divorces are typically quite stressful for everyone. Finances need to be disentangled. There may be strong emotions. There are custody arrangements to be hammered out. When one or both members of the marriage bring a large volume of highly valued assets, it adds one more layer of complexity to the negotiation. The question will generally boil down to how much information each party is willing to allow into the public record since that becomes the trade-off during litigation. One or both parties may attempt to leverage the other, but once the matter goes before the court, that information is exposed. In this article, we will discuss some of the complexities surrounding high-asset divorces. The Macomb County divorce attorneys at Iafrate & Salassa have successfully resolved a number of high-asset divorces for our clients. 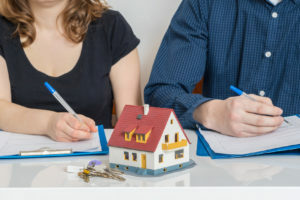 If you and your spouse intend on calling it quits and are looking for ideas on how to protect both your assets and your privacy, we can help. The thing that makes high-asset divorces uniquely complex is the sheer number of assets that need to be sorted. In addition, properly evaluating those assets may, in and of itself, be complex. The process of valuation can take time and require the opinions of outside experts. Art, collectibles, real estate holdings, retirement accounts, bank accounts, and business interests all need to be considered. In addition, many high-asset couples have prenuptial agreements that may impact asset distribution. In some cases, a prenuptial arrangement may be voided by the court. For the most part, however, they are honored. If one spouse attempts to hide assets from the other spouse, this can also complicate matters. Lastly, Michigan is not considered a community property state. In a community property state, assets held by both spouses are generally split down the middle. Michigan is considered an equitable distribution state. In equitable distribution states, assets are divided fairly, though not necessarily equally. If a divorce goes into litigation and the court is asked to weigh in on financial matters, your attorneys can petition the court to keep sensitive records sealed. In addition, many high-asset couples opt to go into mediation in order to settle these matters on their own. This prevents a lot of decisions from going before the court and keeps their sensitive financial information confidential. As always, the Macomb County divorce attorneys at Iafrate & Salassa can help protect your interests while simultaneously maintaining your privacy. Feel free to give us a call or contact us online for more information.